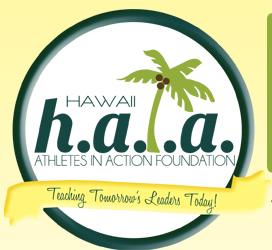 Aloha & Welcome to our website...thank you for your interest in HAIA’s efforts by EMPOWERING the lives of our youth. Each individual is provided with tools necessary to make Literacy a priority, achieve graduation from High School, and ultimately a detailed road map towards their success. Through Academics and Athletics, we challenge the students in accomplishing their goals & dreams in working towards Higher Education. HAIA’s focus will be our children ages 8-21 yrs of age. More so from the demographics of the economically disadvantaged area on Oahu’s Leeward Coast; Nanakuli, Maili, Waianae, and Makaha communities whose population which is plagued with Drugs, Teen Age Pregnancy, 50% High School Drop Out ratio, & Homelessness. This website is a great resource to delve into, to learn about our Projects & Programs and most importantly, it will show you how it is that we as an organization will make a difference in the lives of hundreds of underprivileged & “At Risk” children on the Leeward Coast of Oahu. As you learn about our Mission & Programs, peer into the lives of our "Future Leaders". We hope it will inspire you to get involved with The HAIA FOUNDATION as a mentor, volunteer or by making a financial contribution to ensure the program's long term success. Saturday December 2, 2011 at the Royal Kunia Country Club - Ana & I wanna send LOVE & THANKS 2 GOD 1st our AUNTY NONA & KERISIANO FAMILY...Kahala of Pineapple Jam, TASTY KALUAZ " Sai Timoteo, Glam Glitz, Blings " Lana Ulu"...& FAIRY CAKES "Pei", TUPPERWARE Diamond Director "Traci Fernandez" & da BESS photographer in da world " Irwin Santos", & all the SPONSOR's who made our 3rd Annual HAIA FOUNDATION SMOOTH OPERATOR GOLF TOURNAMENT FUNDRAISER Event a HUGE SUCCESS! What made it more special was we were BLESSED w/HAWAII FIVE O's very own Laie Boy "KAMEKONA" Taylor Wily who made a GUEST appearance and took pics w/GOLFERS/Family & Last but not the LEAST...RADIO PERSONALITY "LANAI" for da TOP OF THE LINE Ono tasting "CIGARS"! We love you ANA BOY & TUI...its bcuz of u two MOMMY & DADDY do the VOLUNTEER work & SERVE the Lord's children...thank u 4 being da most BEAUTIFUL sons ever! Check out 2500+ photos from event! Our mission is to EMPOWER, EDUCATE & ENRICH the lives of the children That come from undeserved low income communities by providing a long term Program of social, academic & athletic enrichment. Our ultimate goal is for each Child to graduate from high school prepared for higher education & fulfilling Employment. All WEEKDAYS (Tuesday's/Thursday's) will be regularly scheduled from 4:00 p.m. to 8:30 p.m.
ALL THOSE OF NATIVE HAWAIIAN ANCESTRY is a MUST ATTEND! 1 These tutoring/mentoring services are only available to those students that attended the BEEF STEW MEETING and or met with HAIA FOUNDATION to have completed required forms such as Survey, Registration/Waiver Forms. 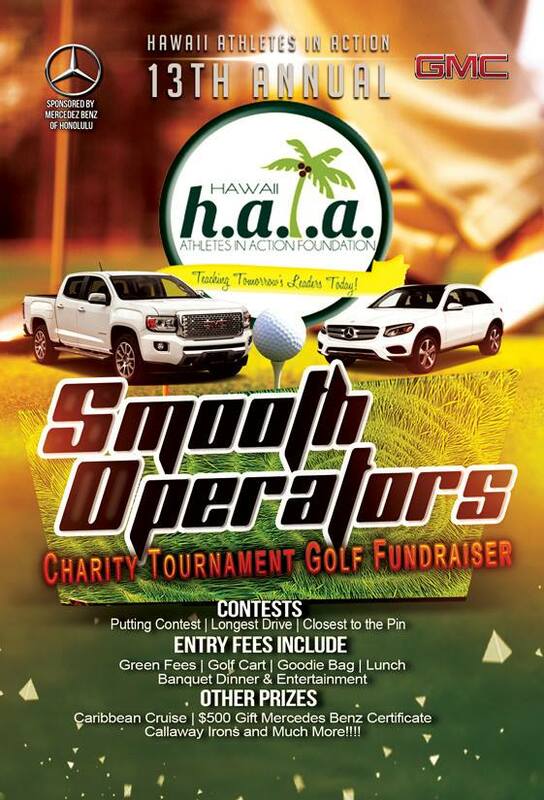 2 Please email The HAIA FOUNDATION haia-athletes@hotmail.com to RESERVE your spot. We can only accommodate 10 students per session. First come, First serve. 3 If you cannot attend the session you reserved your spot for... PLEASE make sure you call 24 hours to cancel, so that we can offer your spot to another student on the wait list. PLEASE read #4 for failure to do so. 4 If you are a NO SHOW to your session, you will not be able to participate in any FURTHER sessions for 2014 year unless you can provide a Doctor's note. We're looking for volunteers to tutor/mentor our students. Please email HAIA with information. 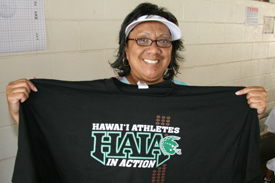 Copyright © 2012 Hawaii Athletes In Action. All rights reserved.